Welcome to Burns Honda! 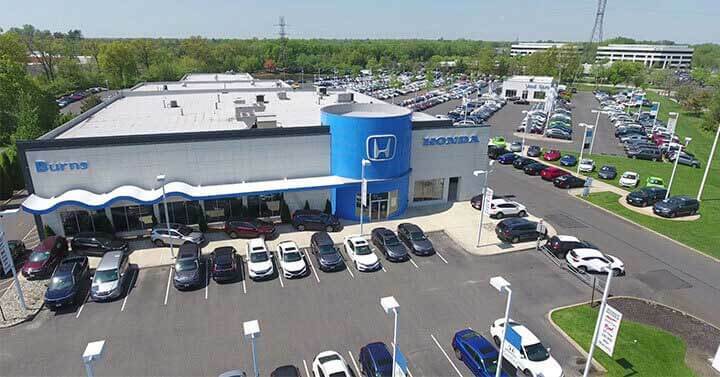 At our comprehensive Honda dealership, we go above and beyond to make sure that drivers of Marlton, Mt. Laurel, and Cherry Hill tackle the roads at the helm of an impressive vehicle. From our extensive inventory to our friendly representatives, and everything in between, we’ve created a one-stop shop for all your automotive necessities. Once you’ve started your search for a new car, it’s essential to be equipped with an inventory of new cars that offers up plenty of options. And at our Burns Honda dealership, that’s precisely what you’ll discover once you set foot into our advanced showroom. Regardless if you’re in the market for an agile Honda Accord, a sporty Honda Civic, or any of our other models, you’ll leave our dealership knowing that you selected the automobile that’s ideal for your family. In addition, our lineup includes a diverse collection of used and certified pre-owned Honda cars. With these capable vehicles, you’ll soar down the highway in the driver’s seat of a car that’s a proven road-warrior. 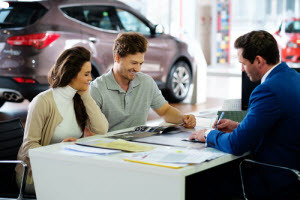 No matter what your purchasing preferences may be, our team of financers at Honda Burns will gladly assist you in choosing the right plan for your lifestyle. And to help you make the most of your financing procedures, we sit with each customer one-on-one and gather more information about your budgetary requirements. Once we understand more about your needs, we’ll quickly design a payment plan with you in mind. With our expertise, you’ll drive down the road knowing that you secured fair loan terms for your new, used, or certified pre-owned Honda. Plus, our staff presents a wide variety of ever-changing incentives on different Honda vehicles throughout the year. That way, you’ll get your hands on the car of your dreams even more easily than you thought possible. Be sure to take a moment to scroll through our current list of specials to see if your favorite automobile is included. When it’s time for your Honda sedan, SUV, or any other model to see a technician for a checkup, feel free to visit our state-of-the-art center. Here, our skilled mechanics will thoroughly inspect and repair your vehicle so that you can continue down your path without a hitch. Check out our service maintenance minder page to see when your car is due for its next appointment. Visit Our Honda Dealer Today! 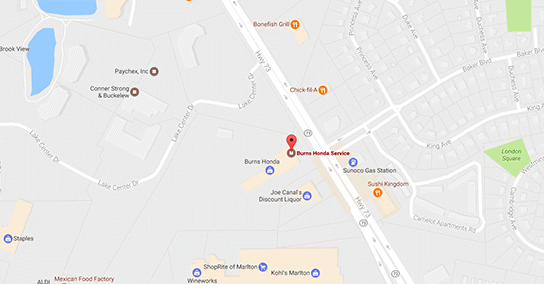 At Burns Honda, we’re dedicated to helping drivers near Marlton, Mt. Laurel, and Cherry Hill discover the Honda vehicle that’s perfect for your unique way of life. From locating your car to choosing your financing options, and preserving the health of your ride, we’re ready to guide you along your journey. To learn more about everything our Honda dealership has to offer, stop by our showroom, give us a call, or schedule your service appointment today!